Hello, and welcome to Splitopia.com. 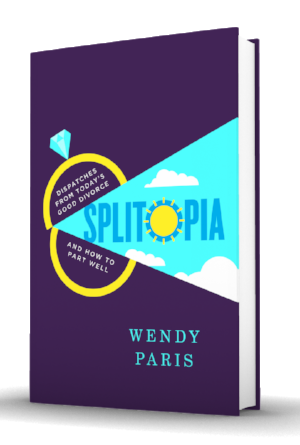 My name is Wendy Paris, and I'm the author of Splitopia: Dispatches from Today's Good Divorce, and How to Part Well (Simon & Schuster/Atria, 2016). I started this "divorce wellness" website as a way to further share the research in my book, and to help people facing divorce and separation do so cooperatively, and build lives they love on the other side. When my husband and I announced our intention to split in 2012, I was surprised by the doom-and-gloom forecasts of some of our friends. I set out to discover the truth about today's divorce. Here's an essay I wrote for The New York Times about our intention to restructure our relationship in a better way, just without the marriage part. I spent three years talking to lawyers, family law reformers, mental health professionals and researchers about today's "good divorce." I also interviewed 200 divorced people, many in positive, post-marriage relationships. My friends' fears, it turned out, were largely based on outdated facts, biased reporting and laws and customs of an earlier era. In their effort to protect good marriages, many anti-divorce pundits seem determined to scare people into staying in bad ones. Yes, divorce is hard, far more so than I expected—and we still see horrible splits. But while there are unavoidable difficulties, there are also very avoidable pains. We need to change how we talk about divorce. 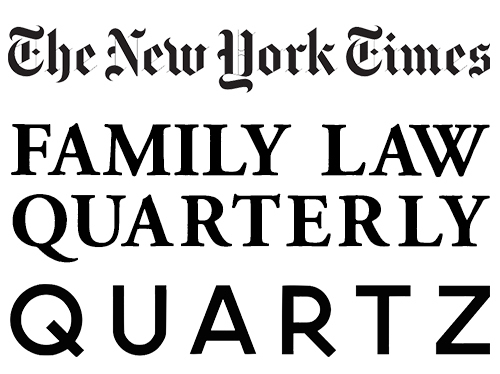 An exaggerate notion of just how bad it must be can make us angrier at our spouses than we need be, more frightened for ourselves, and more susceptible to divisive advice that can lead to the kind of vicious, five- and six-figure legal battles we still see. Breaking up doesn't have to be quite this hard to do. Read my recent essay in Psychology Today about how much my relationship with my ex has improved, post-divorce. Yours can too! The book, and this site, are designed to help. Here's an excerpt from Splitopia in The Washington Post. "Splitopia is the essential resource for any who wants a 'good' divorce."